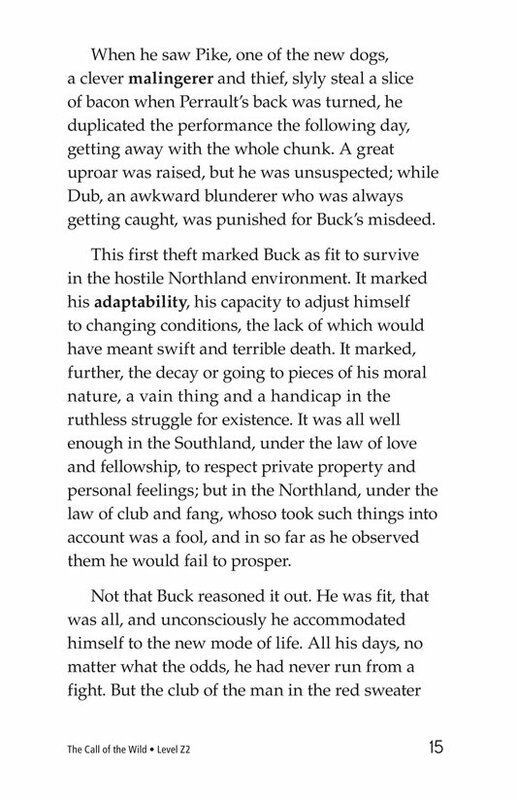 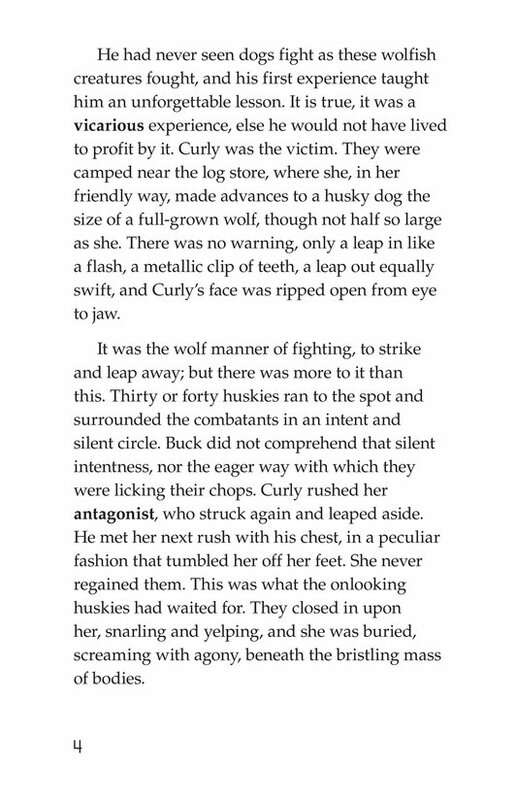 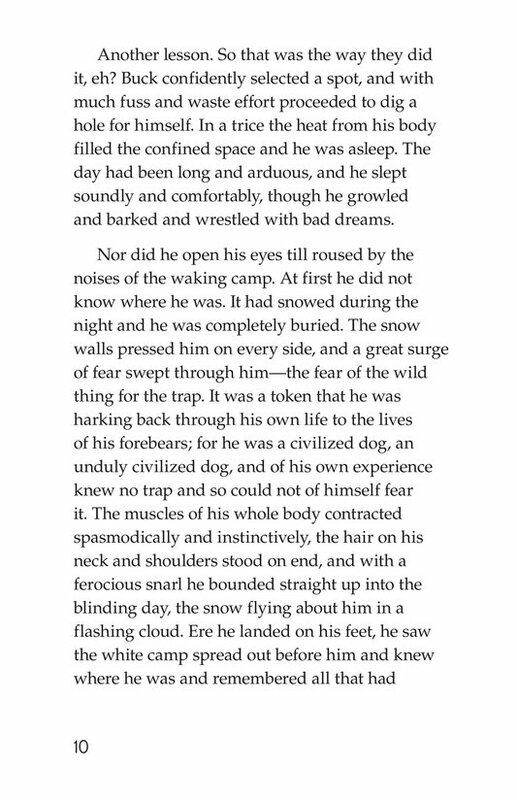 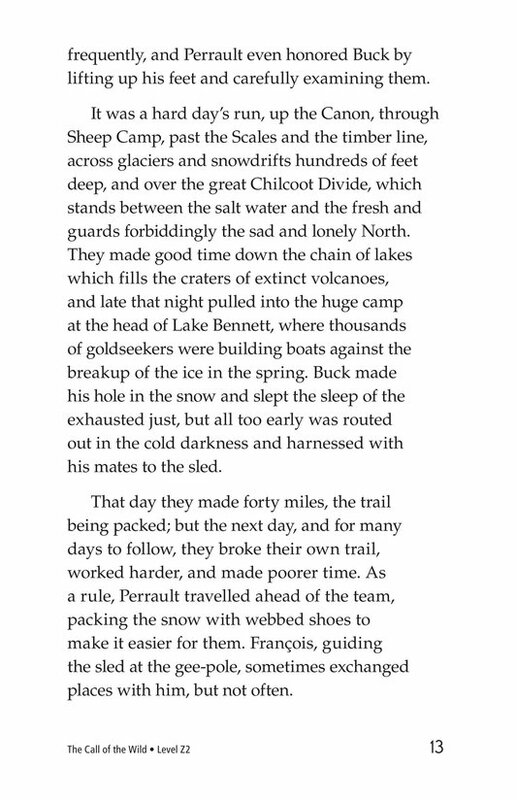 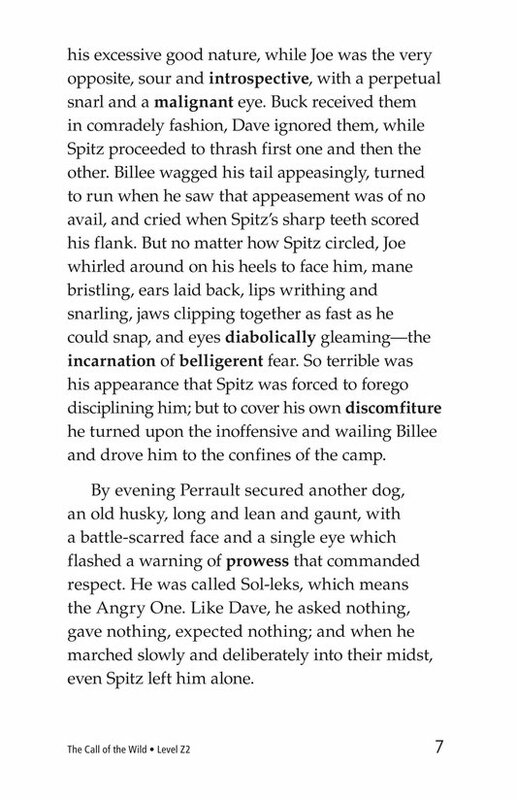 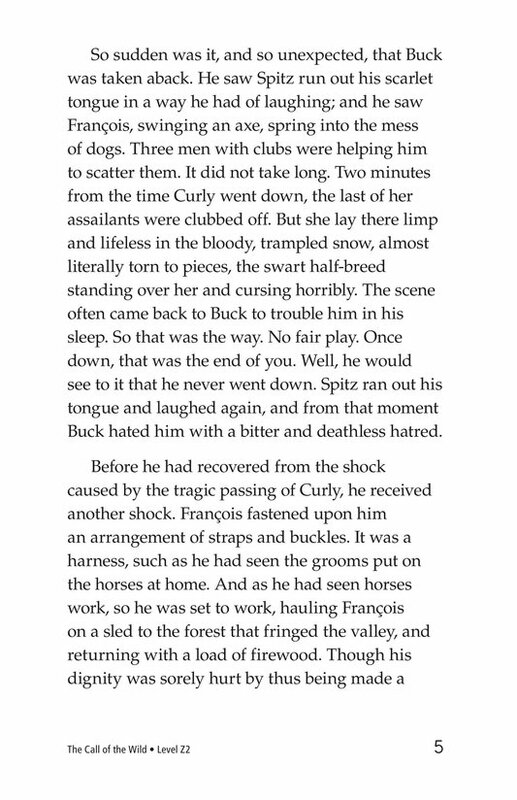 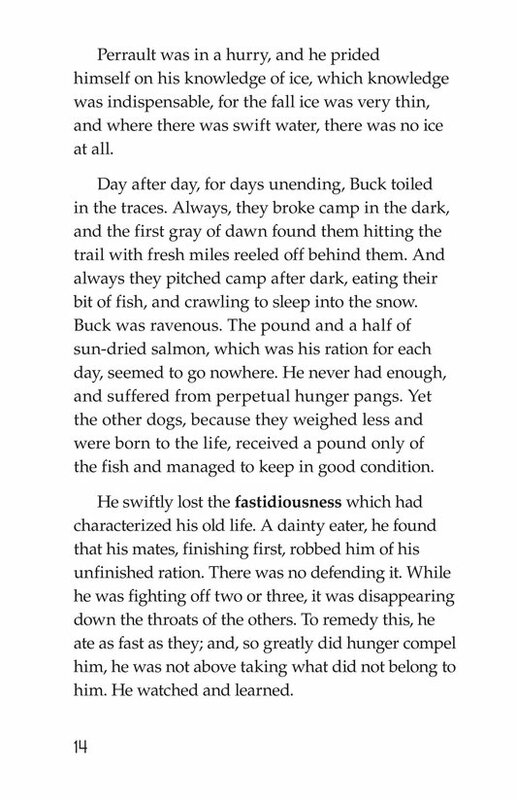 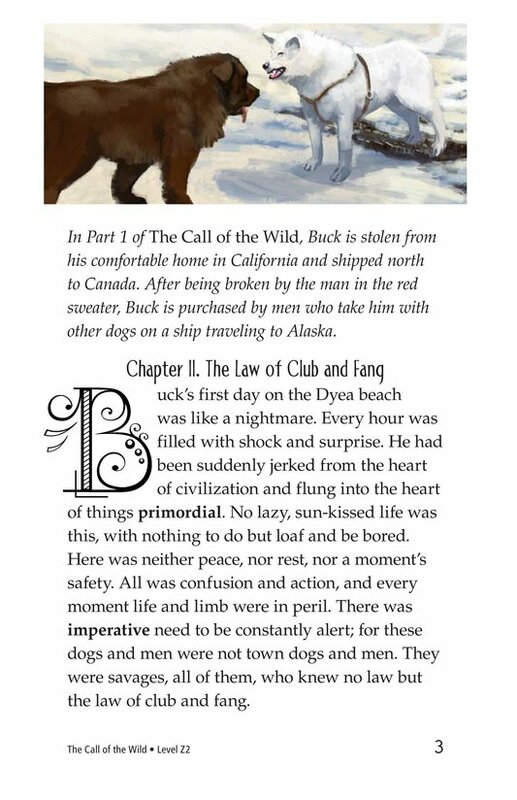 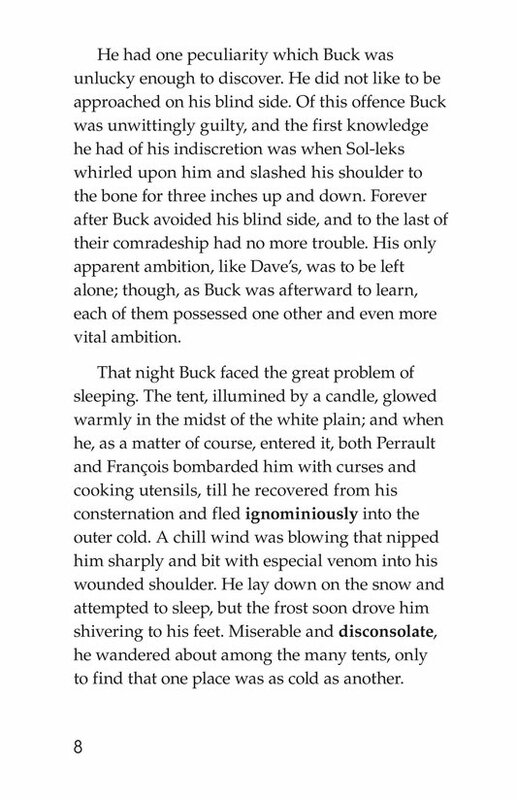 Buck arrives at Dyea beach, Alaska, and is introduced to Spitz when the white husky mercilessly kills another dog. 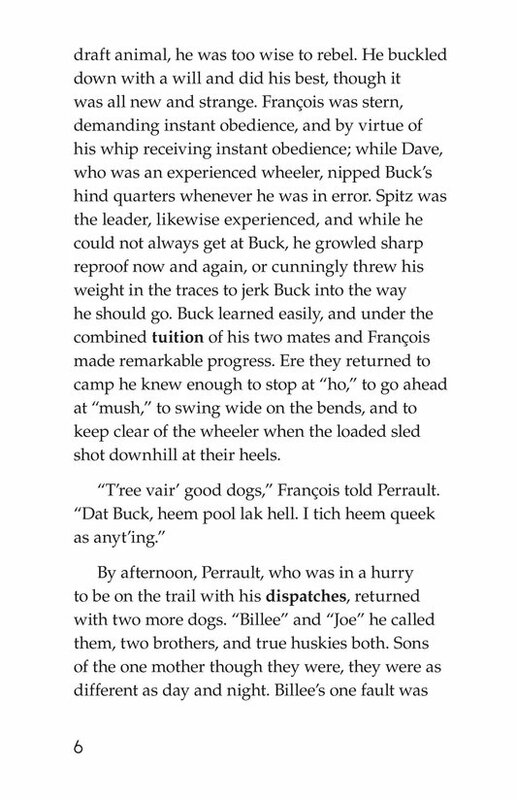 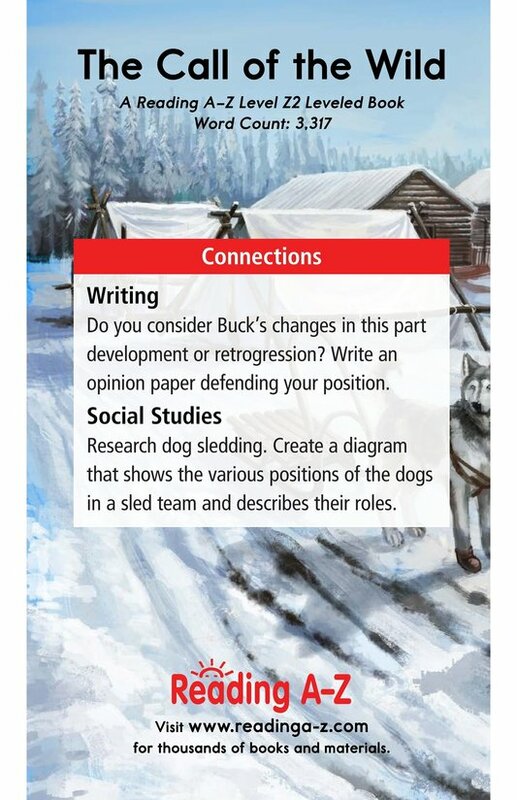 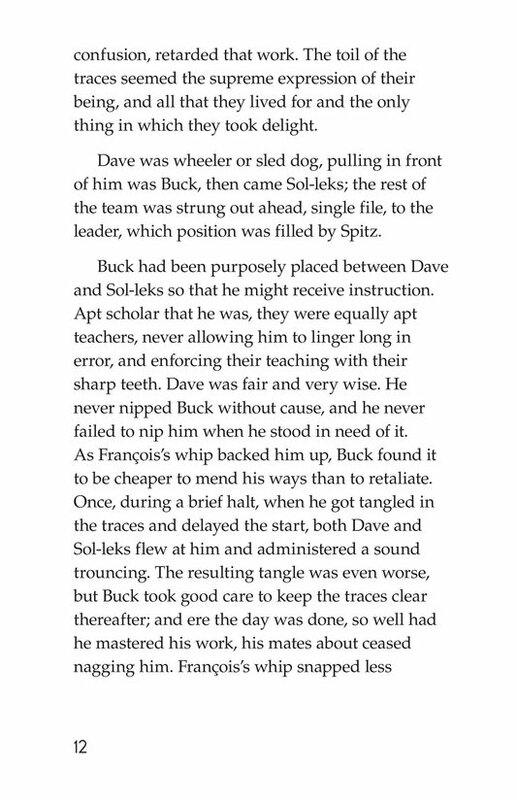 Under the guidance of both men and dogs, Buck learns how to work as part of the sled team. 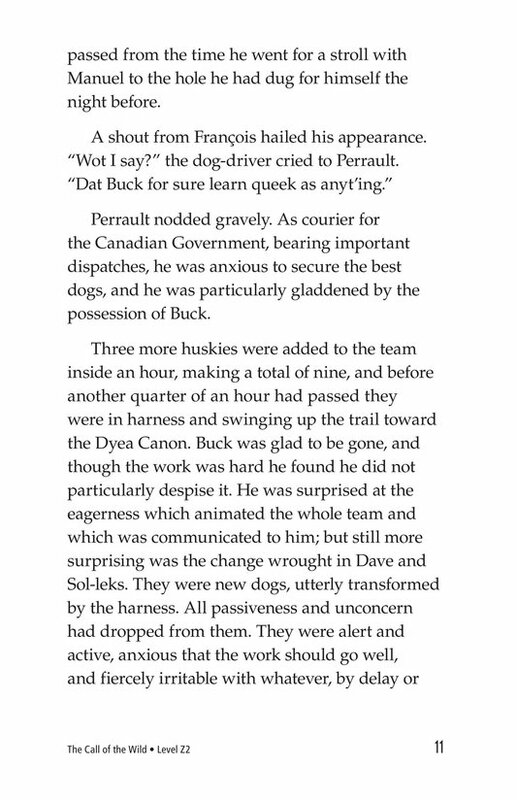 As Buck discovers the personalities of the other dogs on his team, he also learns some basic survival skills for his new environment. 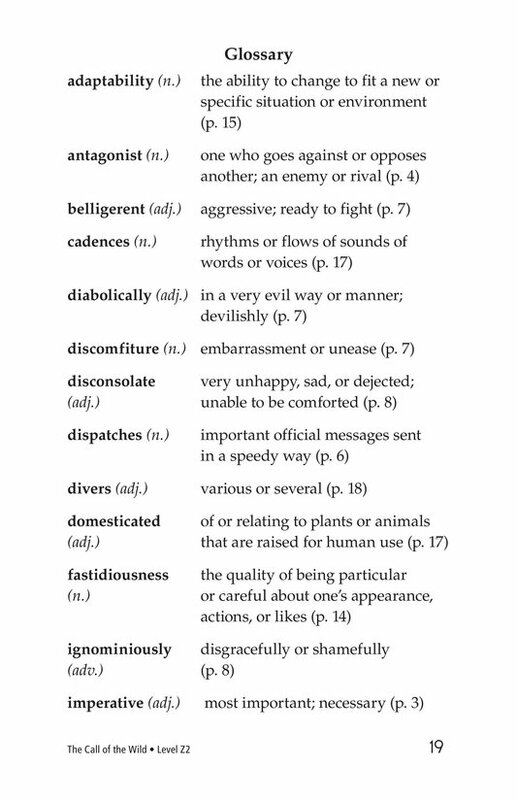 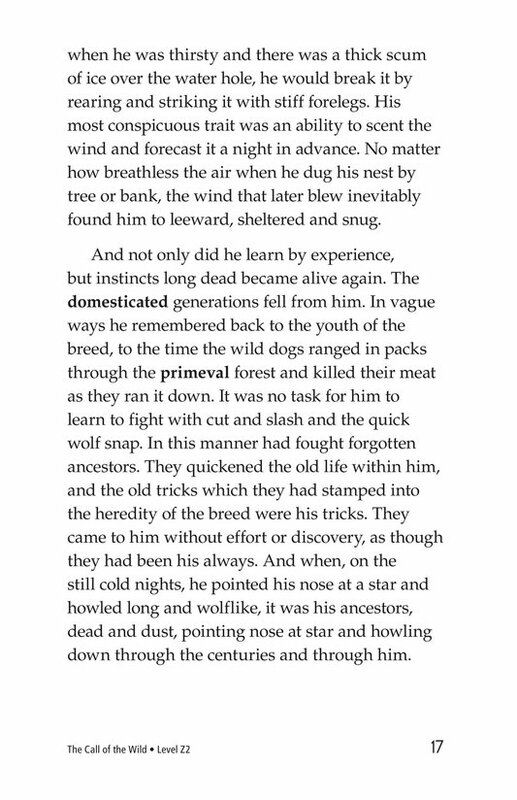 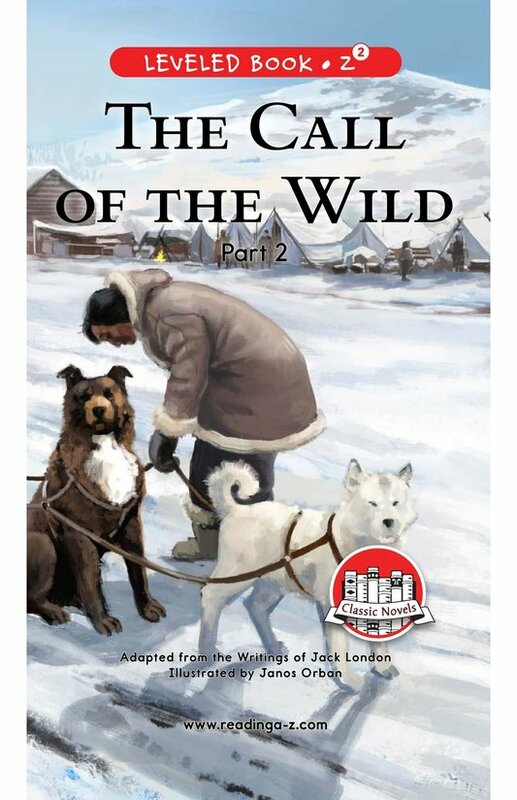 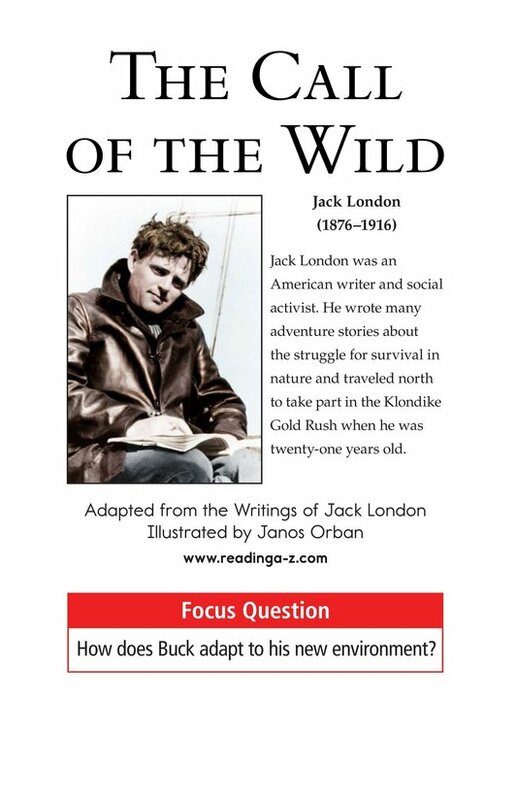 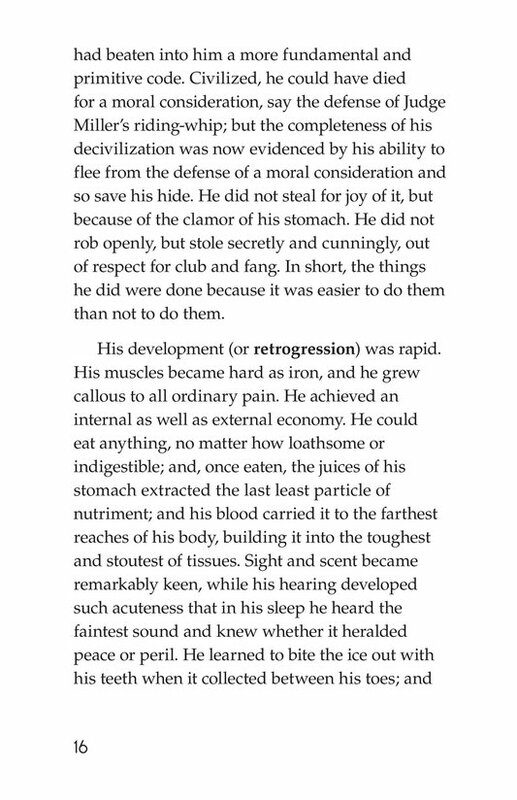 See The Call of the Wild for other parts of this Classic as well as the lesson plan, worksheets, and discussion cards.